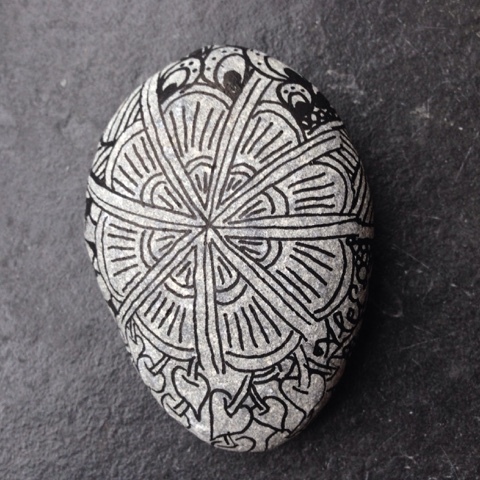 I collected some nice stones on the beaches in North Wales when we spended our hollidays there because I wanted to zentangle them. It is not that easy than working on paper, but it gives a nice result. I use my special Posca pens for it. 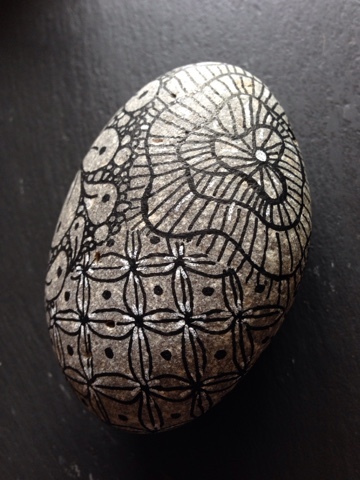 Here my first zentangled stone. 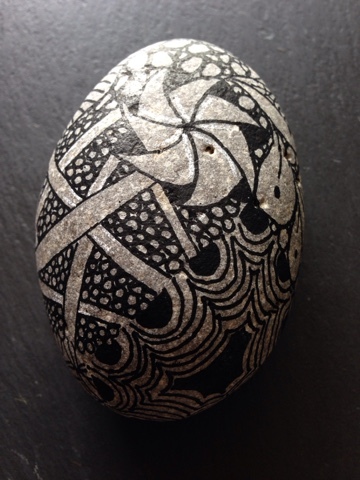 I tried different patterns, and also used some white to give it some 'shadow'. 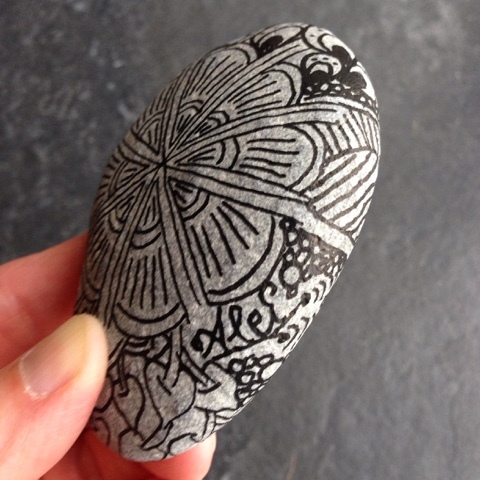 The next one was a gift to my sister, who passed their hollidays in the cottage next door. It was really nice to spend our hollidays with their family ! Our children enjoied it a lot. 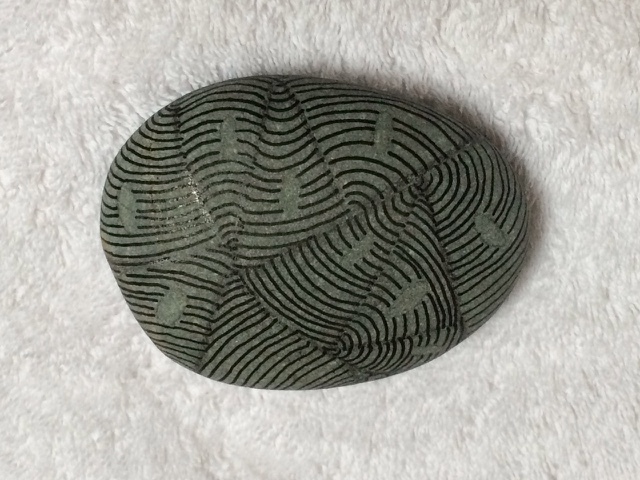 Here I wanted to create some circular patterns on one side , and on the back side I searched for a pattern that reflected the Snowdon they mounted on. 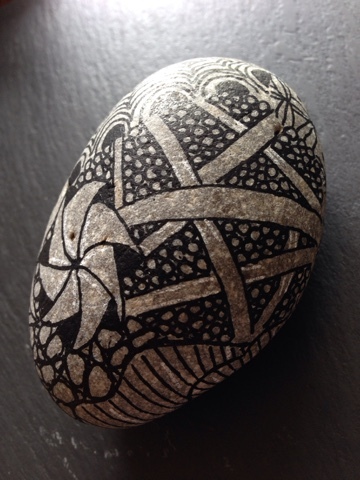 The last one I zentangled was a gift to the owners of the cottage. It was a pitty we didn't see the lady anymore, because whe left so early. 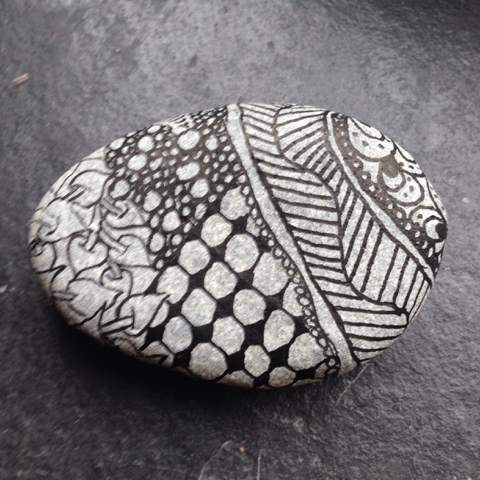 But I left my stone on the window sill of the living room in the cottage. 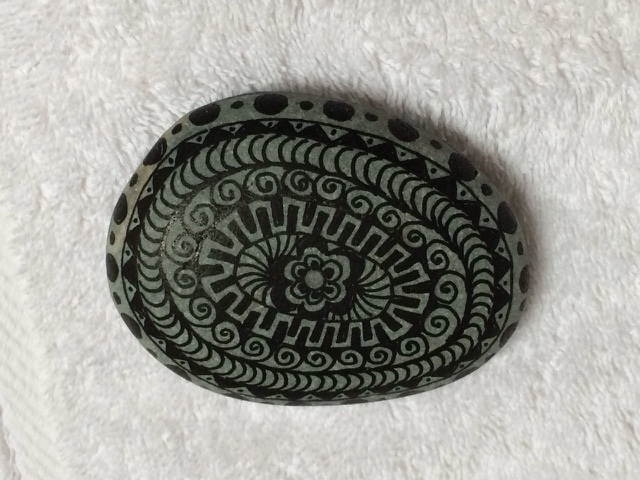 At home, I'm going to do some other stones I collected. I'll post them later on as soon as they are finished.